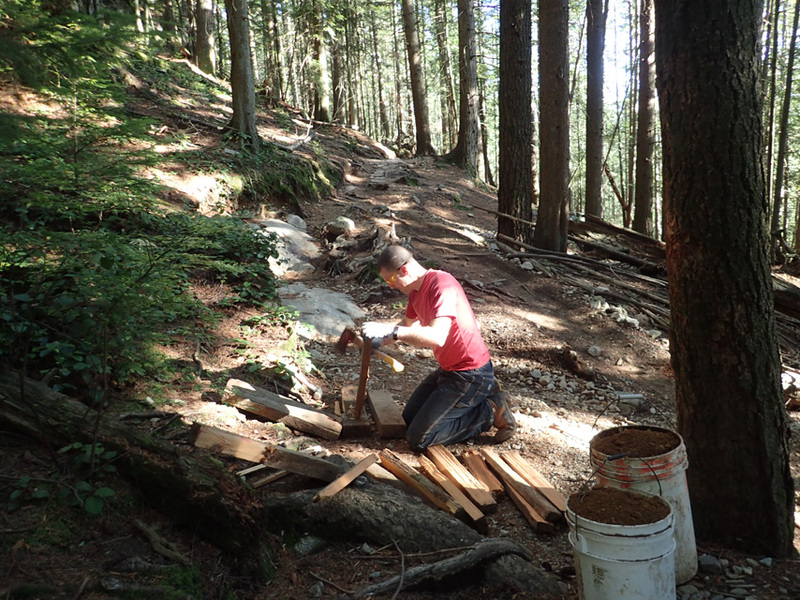 The NSMBA has a great team of builders outside of the trail crew and we’d like to introduce you to a few others who enjoy getting dirty to look after our network of trails. 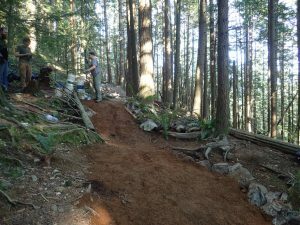 This month meet Dave, a North Shore local who you’ll often find out clearing drains or deadfall on Seymour and along with another NSMBA builder, Sean, has been responsible for much of the recent work on the Baden Powell on Fromme. Whoever you see caring for our trails, remember to smile and say thank you! If you missed the first edition, catch up with the Trail Academy team, Penny and Martin, here. Dave: Riding 20+ years, building with NSMBA for 5-ish. Dave: My first day building was on Expresso, on an MEC TAP day. Just wanted to do my share to help out, but it was so much fun I wanted to keep doing more. I started the permit process on the Baden Powell because I wanted to have a place I could dig mid-week, and at the time it was hard to schedule work with other builders. Dave: Hard to say. 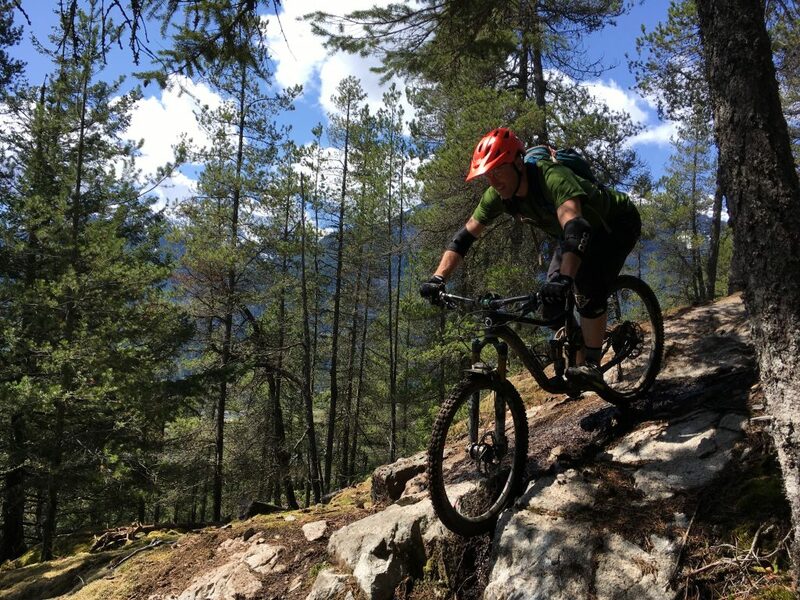 Chilcotins, Whistler, Hornby, Cumberland, … so many places are amazing in such different ways. Dave: The project I’m most proud of is the long-term rejuvenation of the Baden that Sean Brassil and I are working on, but the single feature is probably the opening drop of Boogie Nights, which I helped with the initial build of and have helped maintain a bit since. It’s such a fun and photogenic feature that I see it in videos and social media a lot, which makes me smile every time. 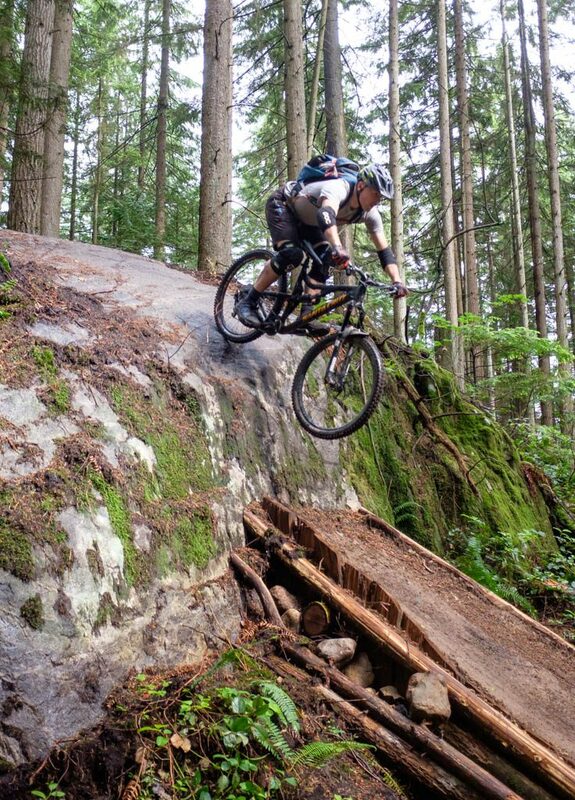 Dave: A fun line connecting Seymour and Fromme (once we get Twin Bridges back?). Dave: Mattock. Versatile, durable, simple. Dave: “Get involved” – come dig, ride the fivers, show a new person around the Shore. 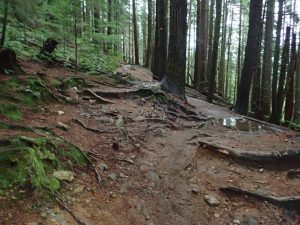 It’s even more fun to ride the trails when you get a real appreciation of the community that supports them. Dave: “10 more buckets” is always a favorite, when anyone asks how much more dirt we need. And Penny & Martin’s “no fronds on a powder day” (ie no revegetating if it’s freezing/snowing) makes me laugh. 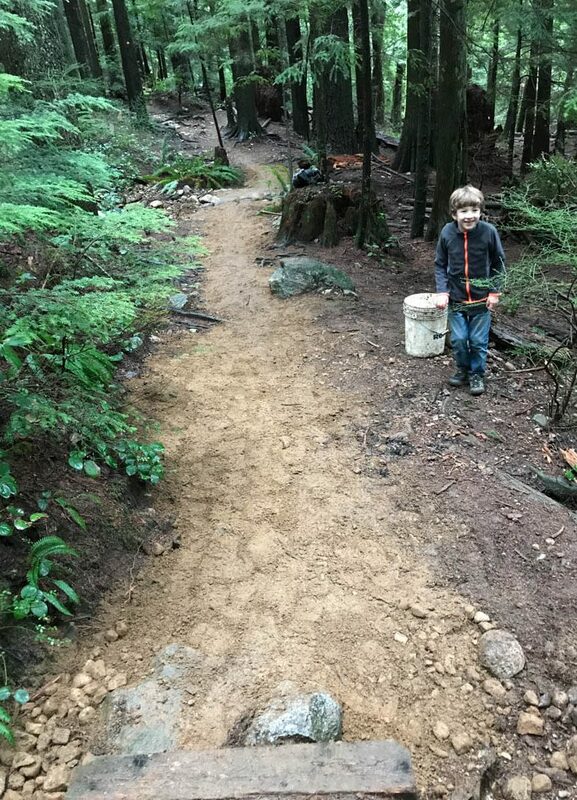 Dave: Seeing happy riders/hikers in the trail, and the days I get to take my son building. Dave: The ongoing struggle with trail braiding.